Baltimore, MD (May 20, 2014) – Under Armour and Rugby Canada today announced a new multi-year sponsorship designating the performance and innovation brand as the official technical partner for the sport’s national governing body. The brand will manufacture and design training and match day kits for Rugby Canada national teams effective immediately. Under Armour will outfit the Men’s Under 17, Men’s Under 20, Women’s Under 20 and all senior teams. The 2014/15 match day kits for the senior teams will be unveiled next month. The replica kits will go on pre-sale today atstore.rugbycanada.ca. The partnership also includes commercial marketing rights and in-stadium signage. Under Armour is the technical partner for the Welsh Rugby Union, Tottenham Hotspur of the Barclays Premier League, Colo-Colo of the Chilean Primera División and Toluca of Mexico’s Liga MX. The Montreal Canadiens dynamic goalie Carey Price, former MMA-champion George St-Pierre, Olympic legend Michael Phelps, PGA standout Jordan Spieth and NBA All-Star Stephen Curry are a few of the world-class athletes who train and compete in the brand’s performance footwear, apparel and equipment. internationally. 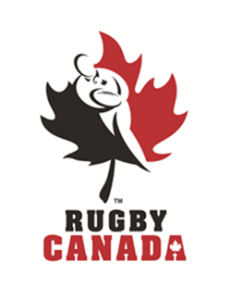 Mission statement: To inspire, develop, promote, govern and lead Rugby in Canada.